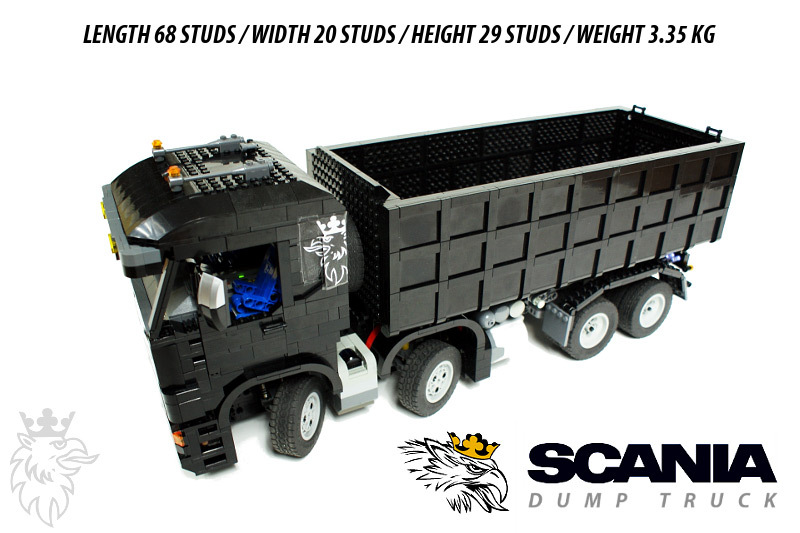 Model of a dump truck based on Scania CB8x4. 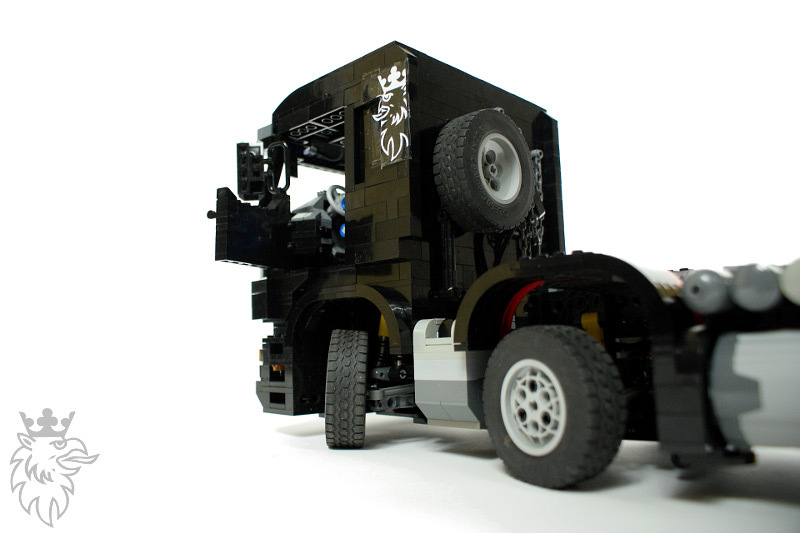 Features full suspension, two axles steered with a different steering lock, elevated cargo case, full interior, lights and custom stickers. My first model after a short break. It was supposed to be relatively simple technically, but elaborated aesthetically. 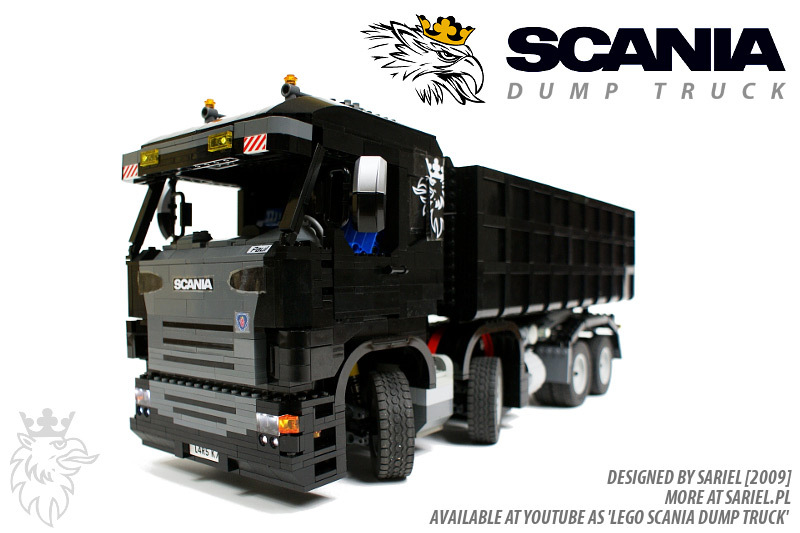 Basically, I wanted to built an improved version of my 8-wheeled dump truck created 2 years earlier, and my very good source of inspiration was Scania tractor unit by Pedro Agnelo. 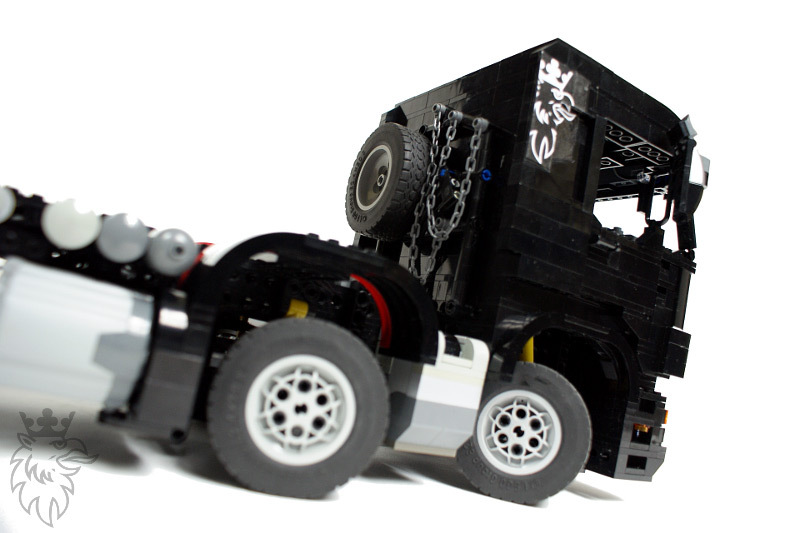 It was Pedro’s great work that made me want to built an entirely black truck with some dark gray elements. The trick that makes cabin’s door open easily (double opposing hinges) is also takes from Pedro’s model. 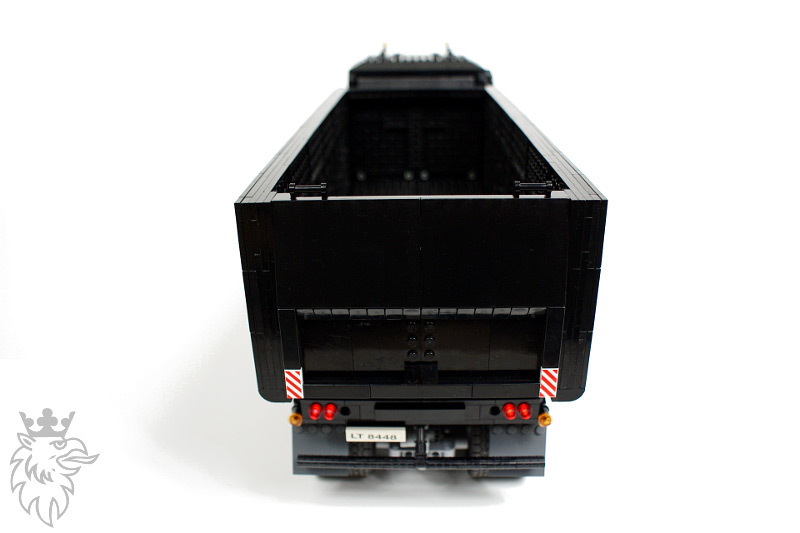 The first and second axle have been fitted with an independent suspension based on the 8297 set’s components. Both axles have been suspended on shock absorbers, with the axle #1 using doubled shock absorbers to support cabin’s weight. 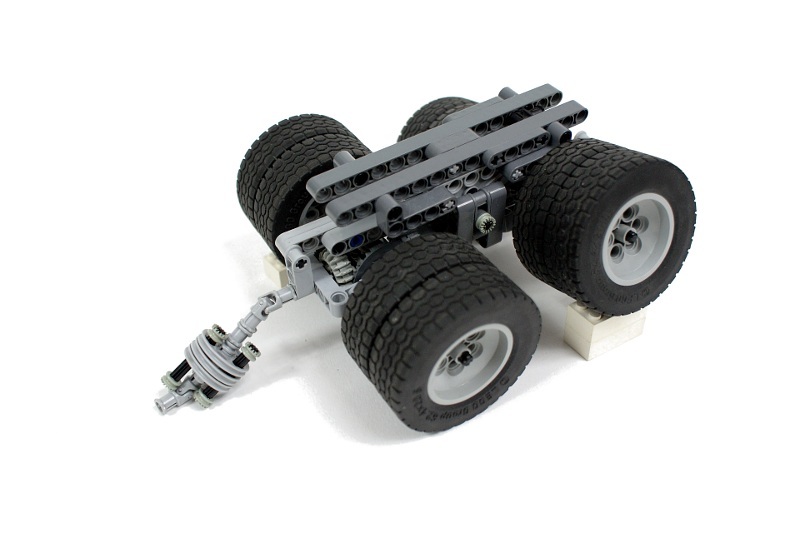 This solution – a very hard suspension of the front axle – made the entire model very stable; almost unbelievably stable for a model driven by pendular axles. The steering system was controlled by a 71427 motor located in front of the axle #1 (a place where a PF Medium motor was too long to fit in), with the usual 9:1 gear reduction and a safety clutch. 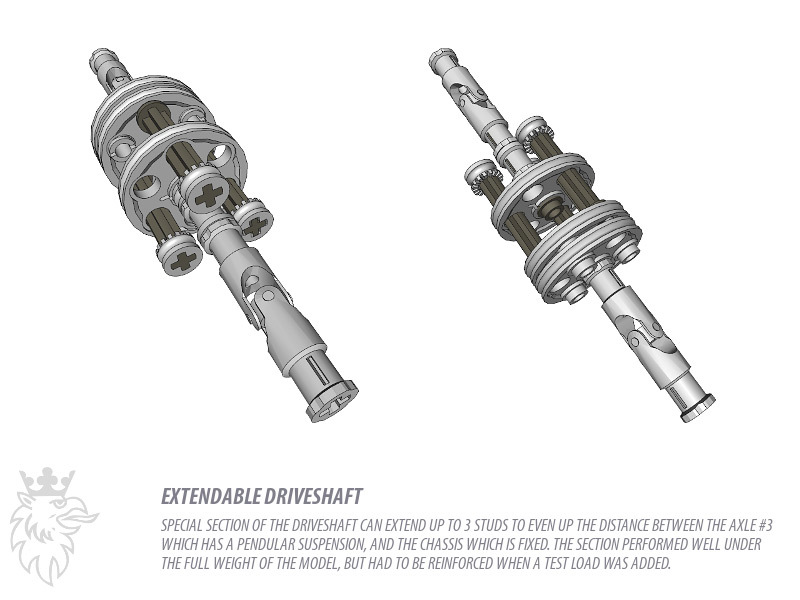 Both front axles are steered by a single common steering shaft, which was a very good solution for two reasons. Firstly, it kept the steering systems of both axles synchronized at all times, and secondly if any of the steered wheels became stuck or reached the maximum steering lock, the whole steering system of both axles stopped without losing its synchronicity. The ratio of the steering lock of the two axles was 2:1, and it was achieved by using gear wheels of different size for steering. Two IR receivers have been hidden between the mudguards of the two front axles. Axles #3 and #4 have been suspended on a special pendular module with a transverse and longitudinal swivel points. 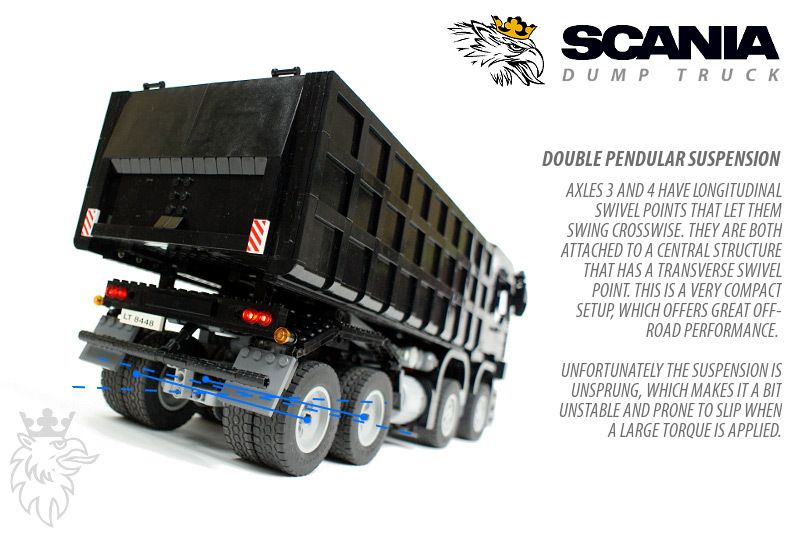 Both axles have been pendular with a longitudinal swivel point, so that one wheel could rise above the other. 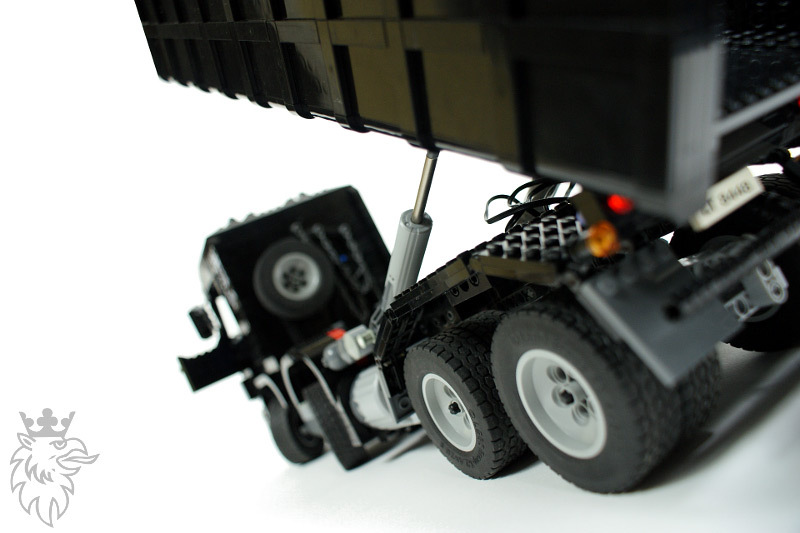 Both axles have been attached to a central structure with a transverse swivel point, so that one axle could rise above the other. It was a compact and strong suspension system with a very good off-road performance, but it was unsprung which resulted in its poor stability as well as in the tendency for the wheels to slip under the torque (the suspension would rise one wheel off the ground if a sufficiently high torque was applied). 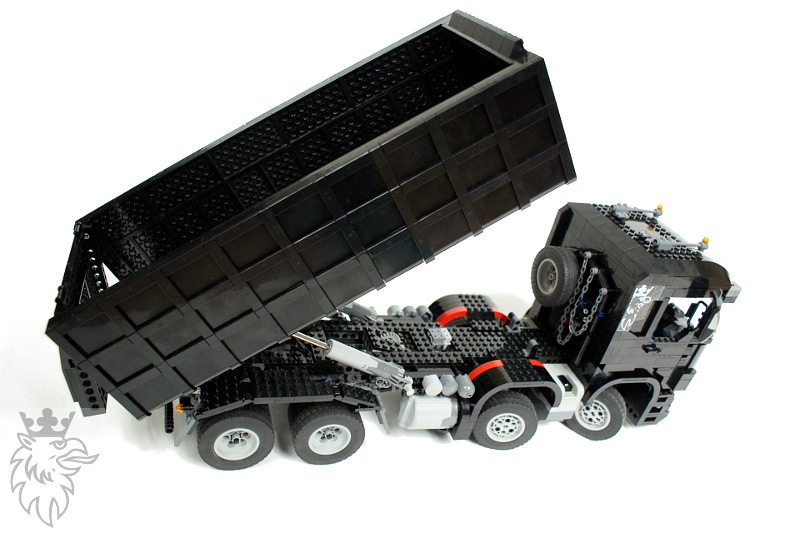 Moreover, the truck suffered from a disadvantageous weight distribution: axles #1 and #2, which were not driven, handled most of its weight. 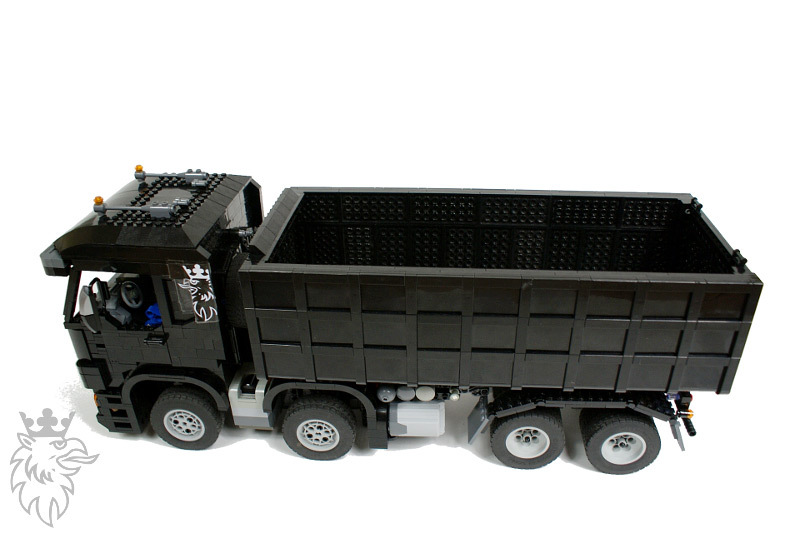 Therefore the truck performed better while driving backwards than forwards, and some extra load above the rear axles was needed to improve its traction. The drivetrain was unusual and realistic at the same time. There was a driveshaft connecting axle #3 with the motors in the chassis, but since the height of the axle wasn’t constant due to the suspension type, it needed an extendable section. 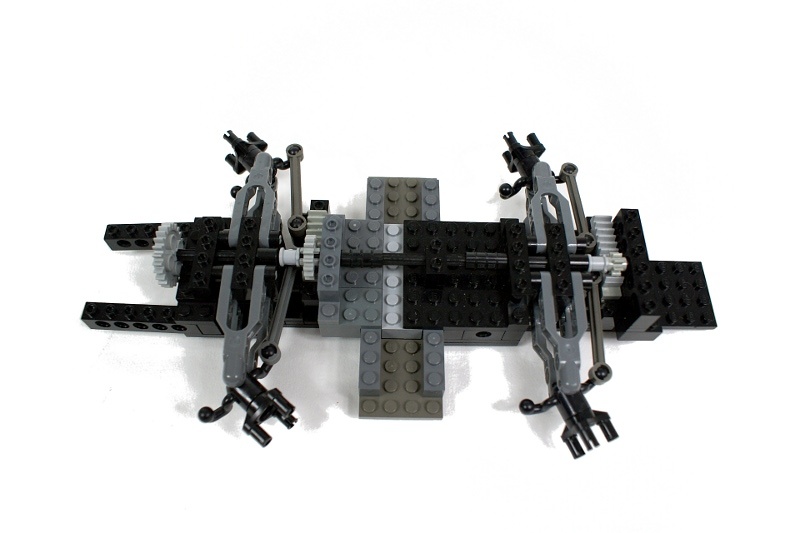 It was located between two universal joints and consisted of a number of wedge belt wheels connected by short axles. This is an old solution, found e.g. in the linear gearboxes, but it worked perfectly well here, even though it was handling a serious amount of torque. 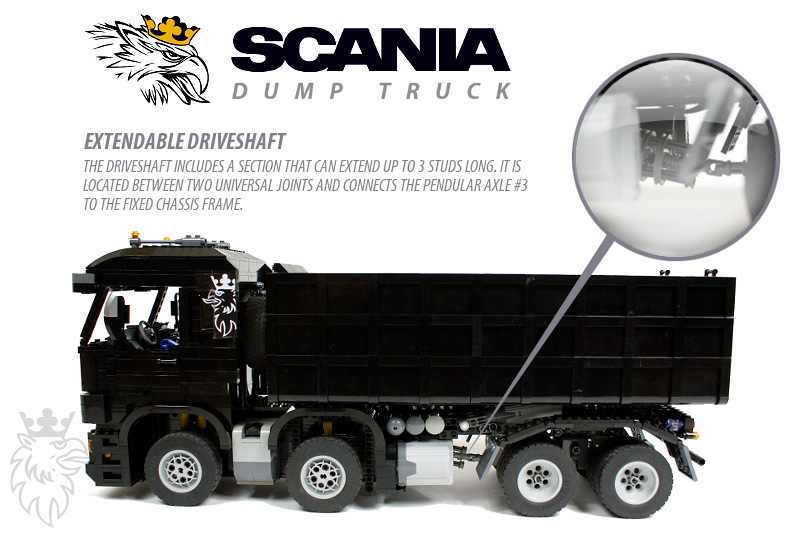 It should be mentioned that the gear reduction in the drivetrain was really minimal, and the truck’s speed dependend heavily on the raw power of two PF XL motors. 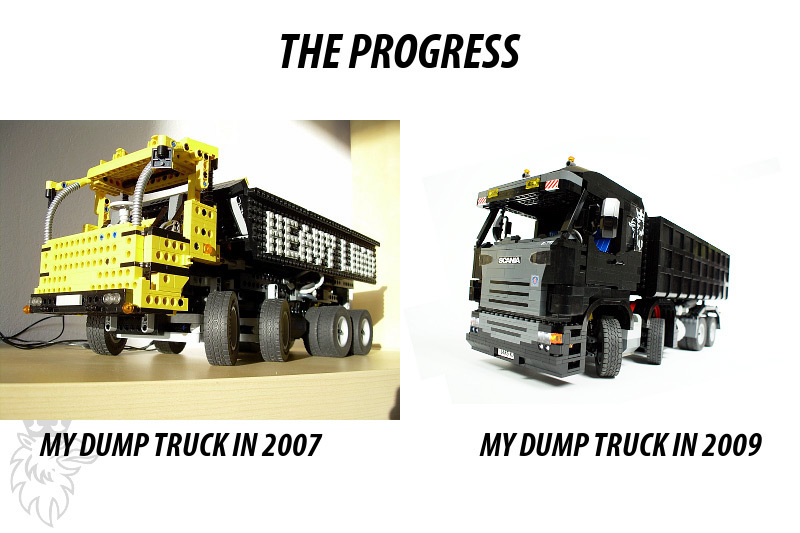 This approach has paid off – the truck was faster that my previous Kenworth Mammoet driven by two PF XLs too, despite being much heavier. However, when some demanding obstacles have been met, the motors would become so strained that they made the Lego battery go off for a moment. 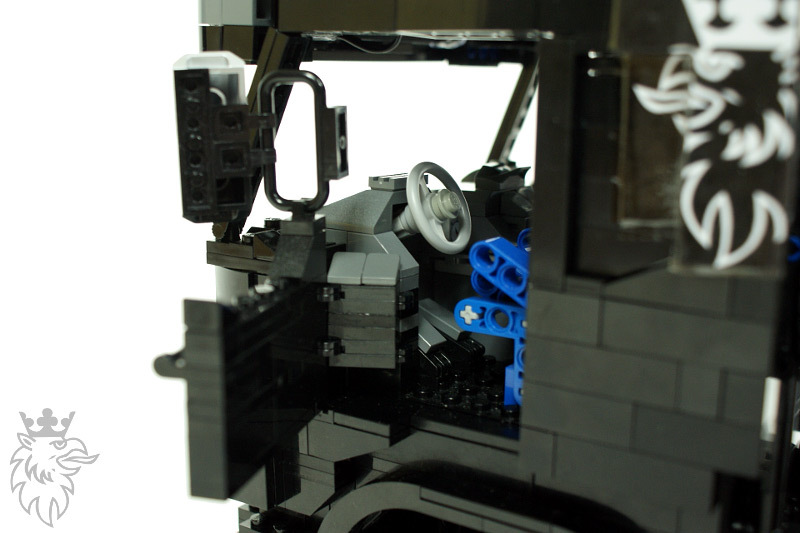 The truck’s cabin housed the drive motor, full sets of lights including rooflights, and the battery along with a full interior that included a detailed cockpit, a steering wheel, seats, pedals, and even flags on the rear wall. The doors could be easily opened thanks to the double opposing hinges system invented by Pedro Agnelo. I have initially thought about using the cabin to house an automated trafficators system, but since I didn’t have a sufficient amount of lights, so I’ve decided to use it for an interior instead. The cabin couldn’t be lifted and its bonnet was fixed, not openable. 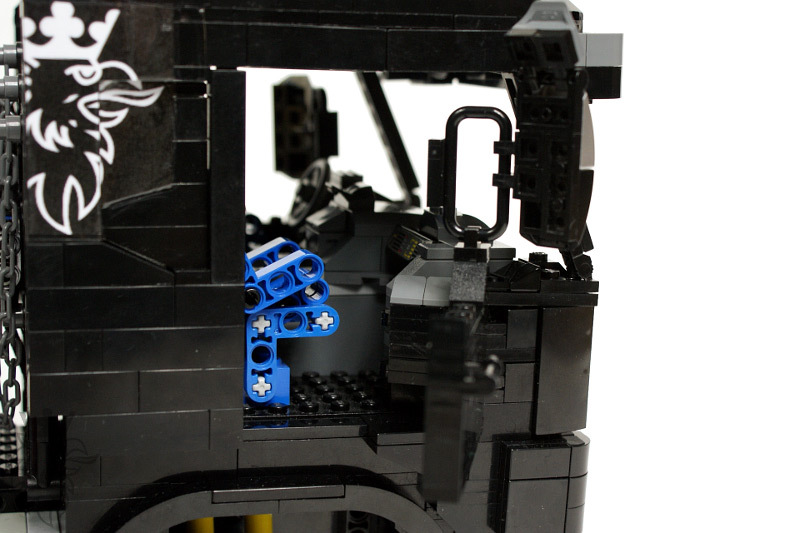 The ‘Paul’ badge visible in front part of the cabin’s interior is a nod to the recent Lego 8258 set, which is a 4-axle truck too, and which has stickers with driver’s name intended to go in the very same place (the interesting thing is that set contains a number of badges with various names to pick from, including Paul as well as Wabra – the set designer’s surname). 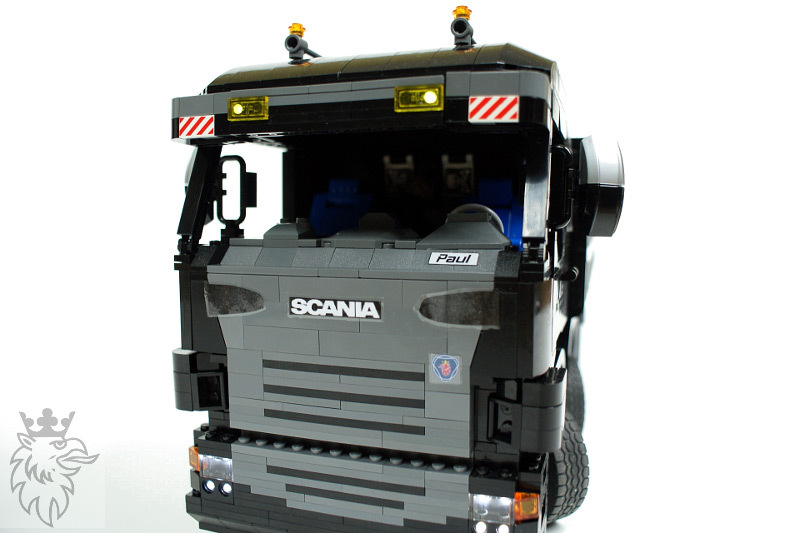 One thing I wasn’t happy about was the use of stickers to imitate the air intakes on the sides of the front Scania logo. I’ve decided to use stickers because I couldn’t find any brick of appropriate shape, but the result was way below my expectations. 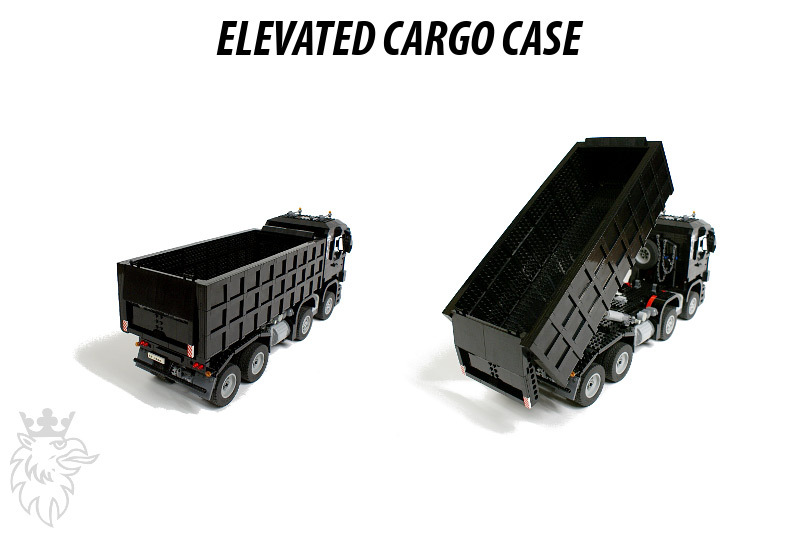 The cargo case was elevated by two linear actuators driven by a single PF Medium motor located above the second axle. A 3:1 gear reduction was used, but no clutch, since the amount of torque required to lift the case up would make any clutch slip. Please note the very robust way in which the actuators have been attached to the chassis – it was intended to limit the torque losses caused by the actuators bending under the load. 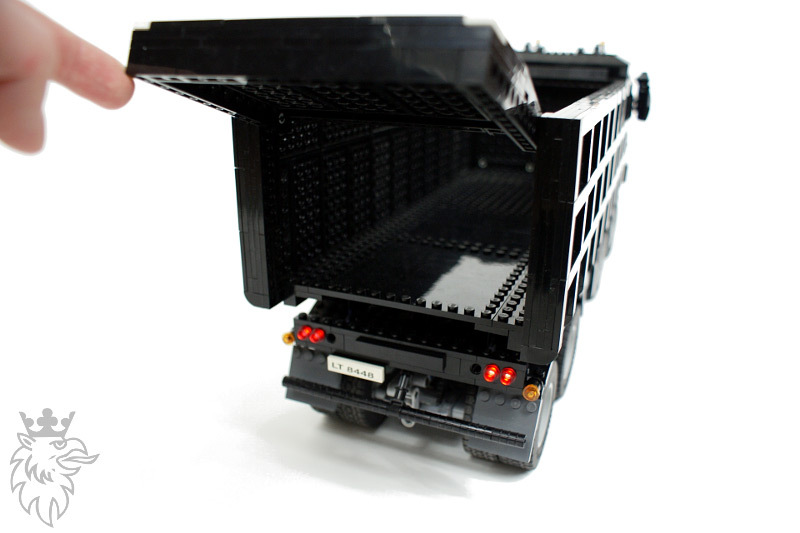 Moreover, they needed little space inside the chassis – basically just some openings in the mudguards of axle #3. The cargo case was large, robust and heavy. 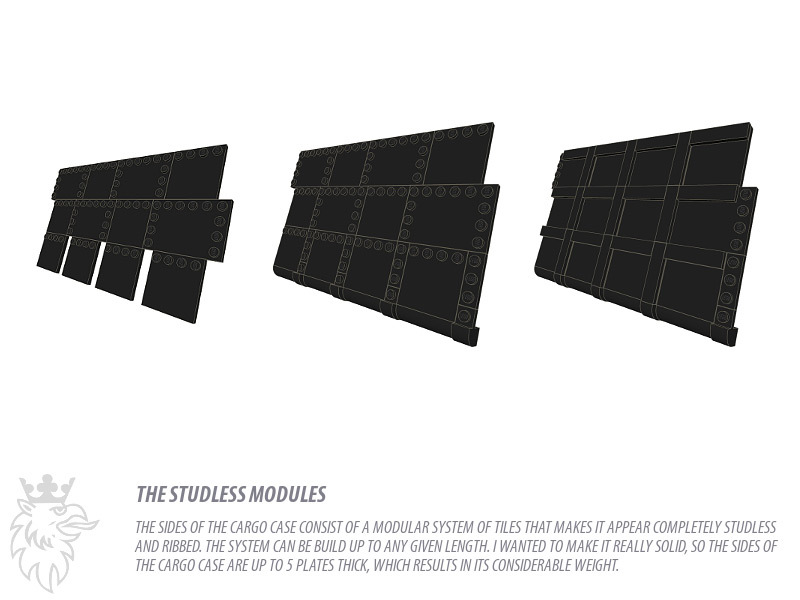 I wanted its sides to be perfectly studless and to look interesting, which was achieved with a modular system of tiles. The system itself was just two layers of tiles thick, but to obtain proper stiffness the sides of the case have been made up to five layers thick. 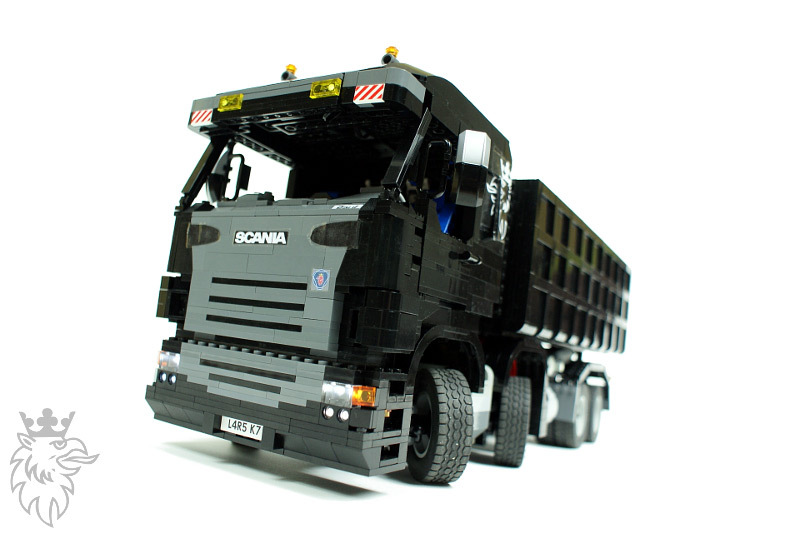 It could be built practically up to any length or height too. I believe the look of the case sides was worth the final, surprisingly high weight of the model. I was pleased with the model despite its technical simplicity. While it was not large enough to house e.g. a gearbox, it was still quite functional, it looked very well, and its mechanical elements have been nearly invisible. Despite some rear suspension problems the truck was relatively fast and handled very well. I believe the key feature of this model was the realistic look, which is more than I need to justify the mediocre number of its technical features. No, I don’t have this problem. I put them inside 7×5 frame and everything works well. 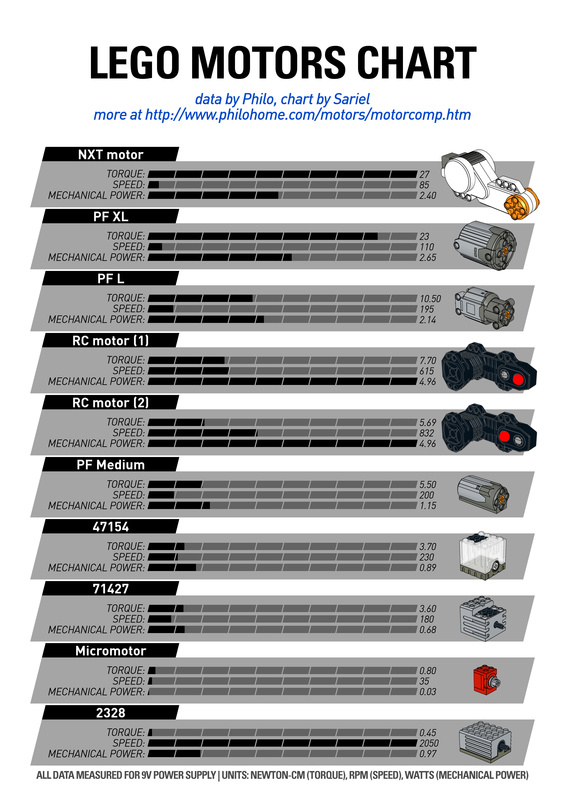 Sariel do you have also troubles whit the new differentials when much torque is required? My problem they started to slip because of the spare on the gear side, it bows and then it starts to crack do you have a solution for this? 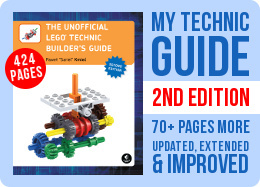 Two questions: What is the approximate turning angle for the independent suspension system from 8297 components? Also, in the video you included a sketch (I suppose used for planning) that faded into the LEGO model. Where do you get these sketches (or did you draw it on your own)? 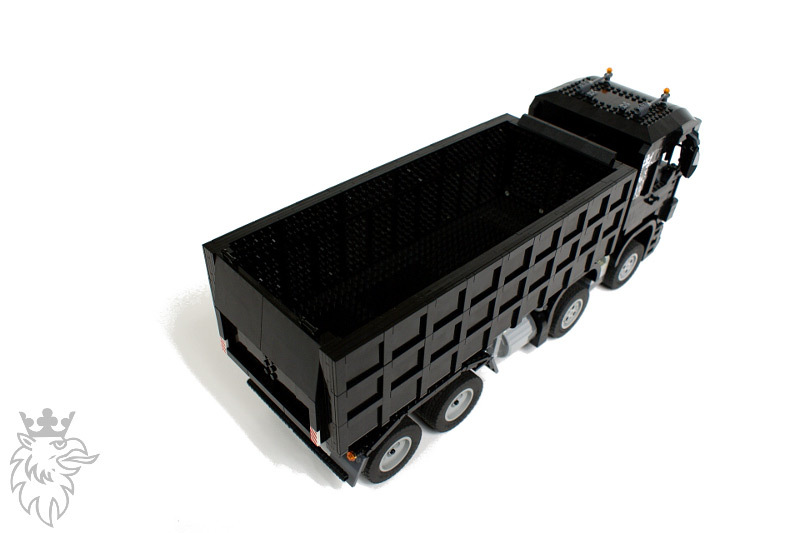 do you have instruction on how to build this, thanks! Yes, there was a serious load, but the actuators handled it. A little more, and their internal clutches would start to slip. 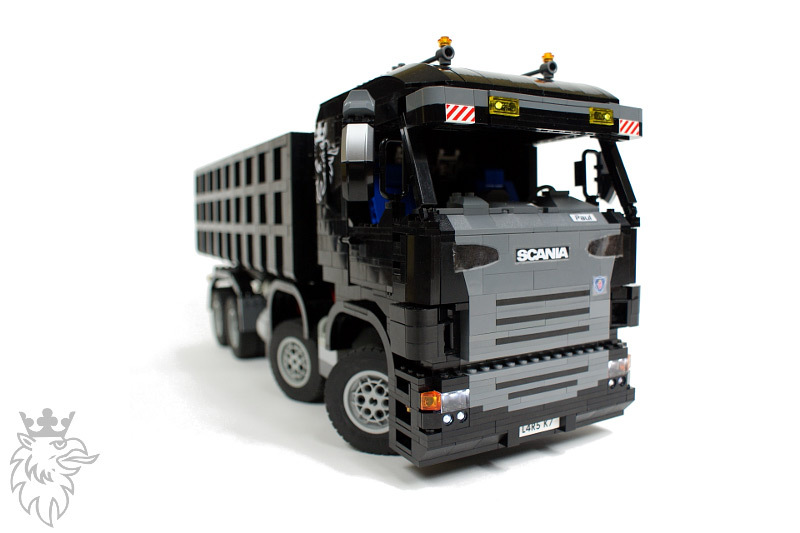 please can you make a instruction of the truck PLEASE !!!!!!!!!!!!! In that case, I’ll just stick with the actuators and be satisfied with the result 😛 Thank you very much for your considerations! 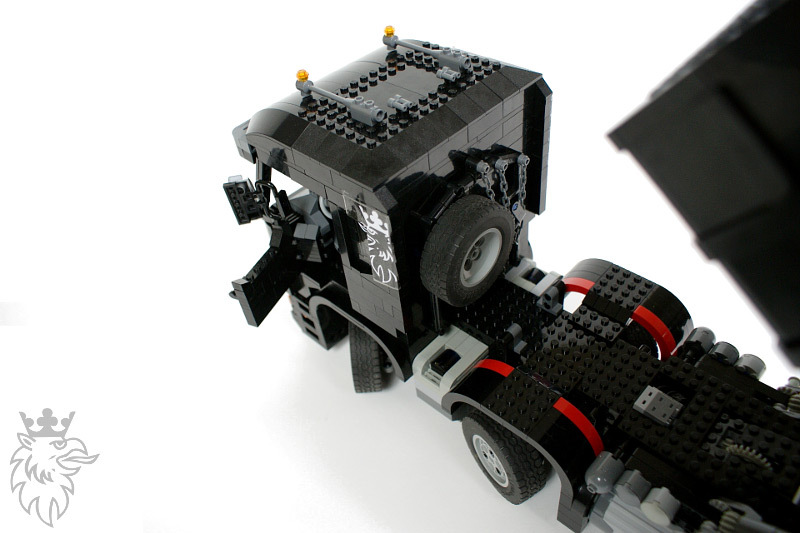 In any case linear actuators have much better load capacity that the Lego pneumatics does. If your aim is 1 kg, don’t even waste your time for pneumatic elements. Thanks for the reply! Let me put the question another way: How was the load on the linear actuators, were they at their max or could the load (or the weight of the cargo case) have been bigger without much problems? I plan to use a XL motor for propulsion, in case that is relevant. The point is that using double pneumatic cylinders would use a lot of frame space, and I don’t have the new style cylinders to use with a bracket, yet I do have the XL motor and two actuators. If the actuators would offer any relevant loading capacity over the cargo case weight, the financial argument would go over the 1 kilo aim 🙂 Thank you very much for your input! So you print them on normal paper, cut them out and then attach them with tape? I print them at home and use transparent Scotch tape to put them in place. How do you create those stickers? DO you print them at home or what? Do you use some special paper? im in the prosses of building the rear suspention and the diffs. are rubing on the beam that runs acroos any idea if im building it wronge? 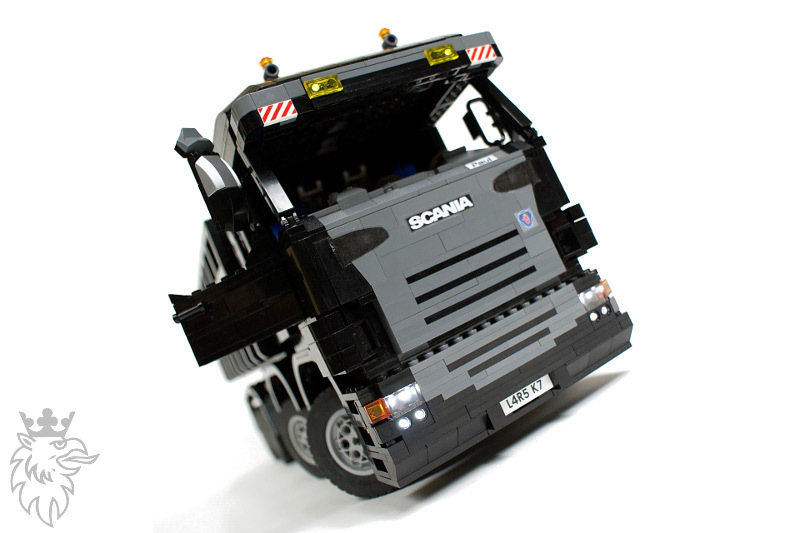 love all the smooth sides and steering system and lego .com is good for parts.!!!!!!!!!!!!!!!!!!!!!!!!!!!!!!!!!!!!!! Ale super Skakanka! No,to jest fenomenalne co ten pojazd potrafi.A najbardziej podoba mi się na filmie wyładunek tych niebieskich elementów, coś niesamowitego. Its a combination of a concrete transport truck and a concrete pump. It’s up & running again, hope it stays that way. Maybe this is not the place, but does anyone know what is going on with Brickshelf.com these days? I haven’t yet really started to take it apart, so yes, I think some photos of partially disassembled truck are still possible. 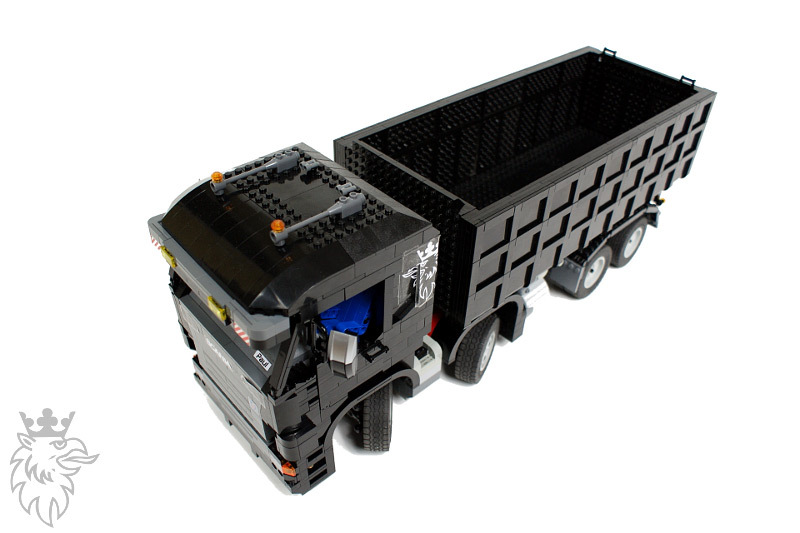 again a great model, but I like to see some more mechanics on the pictures. Is that possible? I simply build fast, perhaps thanks to an accurate planning. Yes, you are free to copy whatever you want. 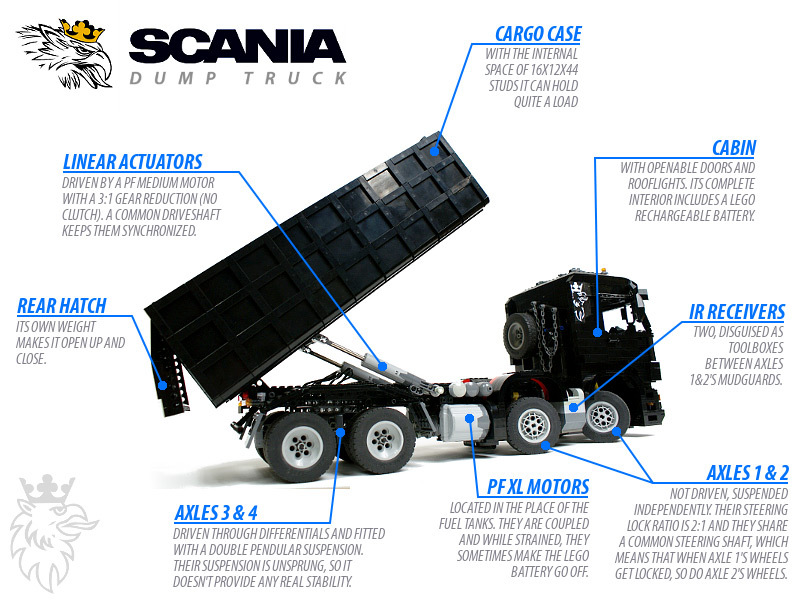 Great Work, this Scania!! Not only, it looks nice, it works as well. I think, you placed all electric-parts in a very good way. Much speed for drive, with two XL-Motors. 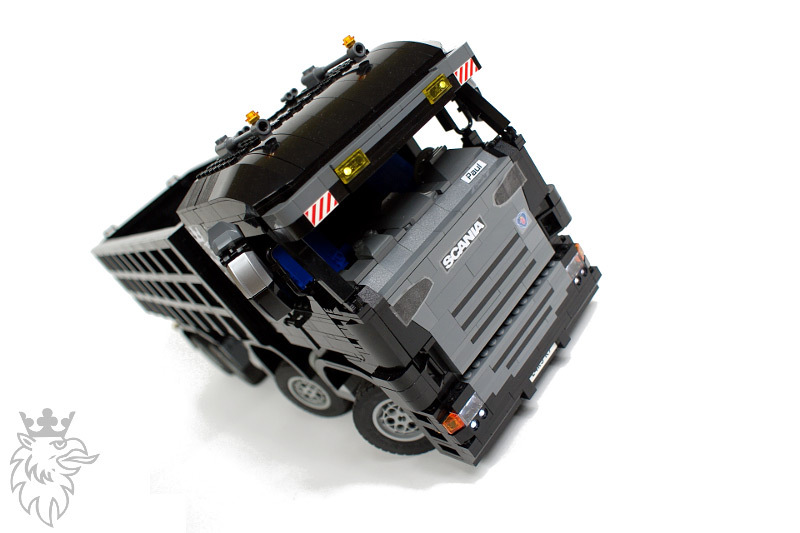 I surprised about the power from the tipper with only one M-Motor. 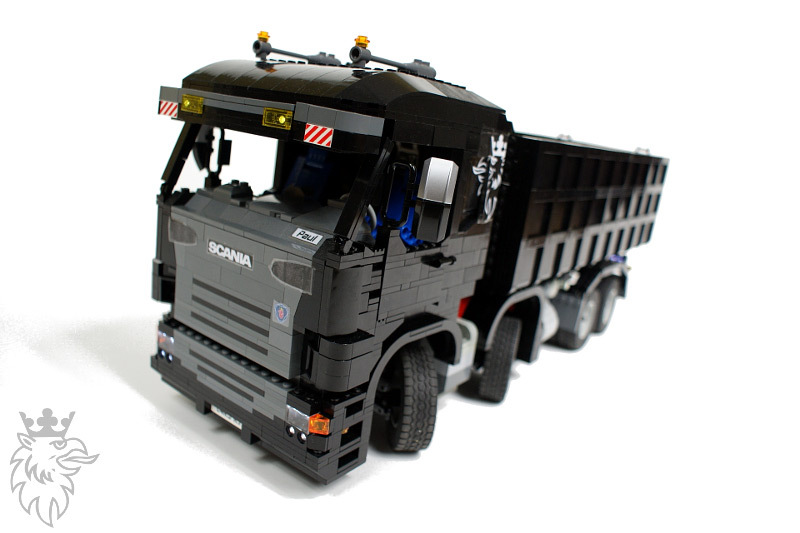 And the best, i think is the design from the tipper. I want ask you, i can it copie for my creation i work now? 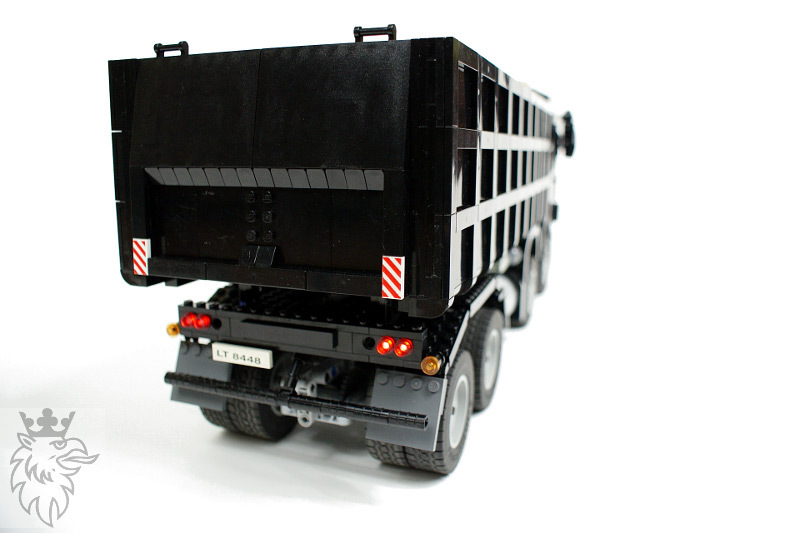 (an for axle MB actros hooklift in scale 1:17). How you can make every months one or more creations? i would not have this time. this is a good and very cool model. I like it as the other models. I want to build a truck as yours, too. 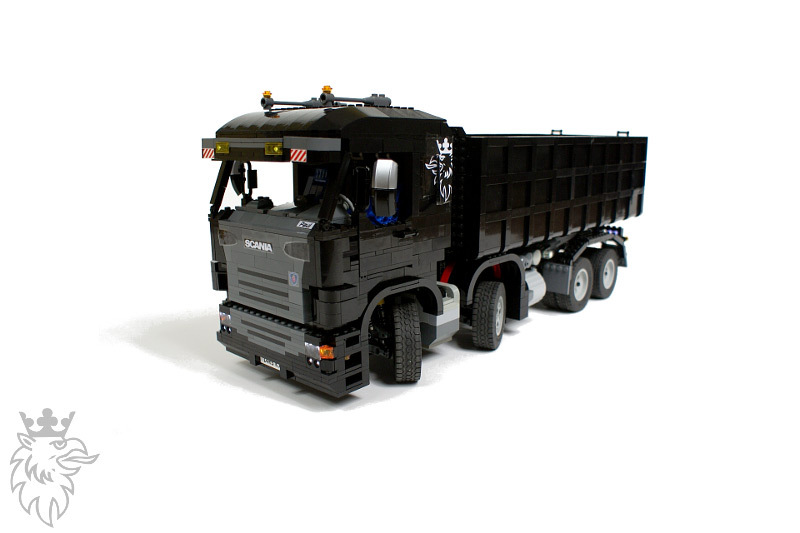 But im not as good as you so can you make some photos of your models technic under the cabin. Not at the moment, but I want to build a Hummer H1 this Spring, and test it in a Truck Trial race. 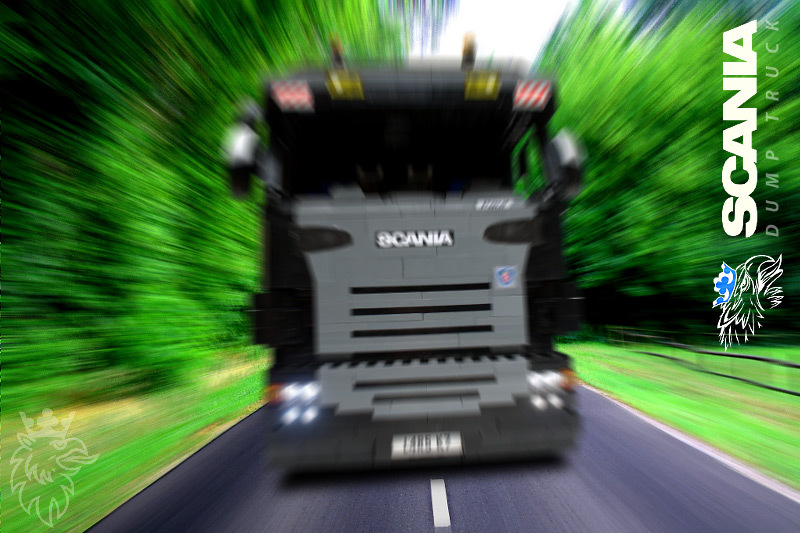 Do you have a truck trial in study ? 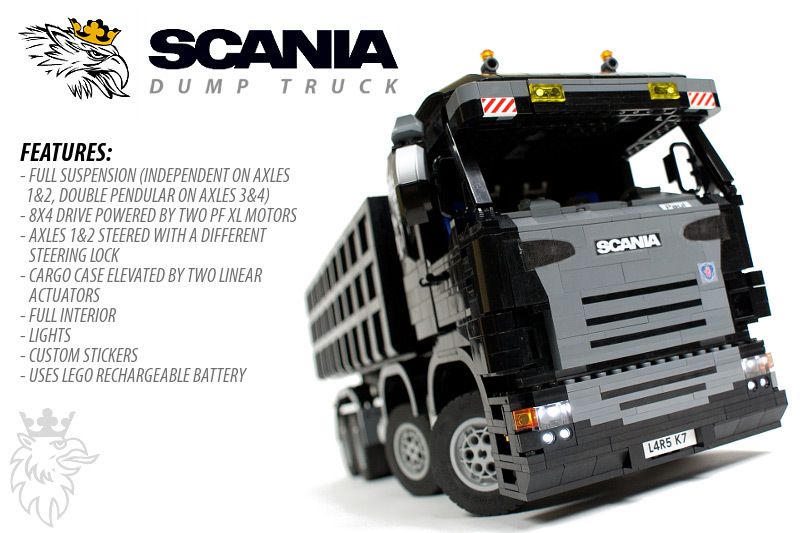 Looks amazing… but sad theres no pictures of the mechanics in the truck….. very amazing…. The truck is very nice. Nope, the lights are controlled by the 8879 speed control handset, so they stay on as long as I want. WOW! This is one awesome build! It looks so authentic! What impresses me most is the most is that you have so many cool PF functions in there without sacrificing the looks of it. I´d love to see some pics of the under carriage as well. How people build their suspension is always interesting imo. For the remote controlled lights; Do you use a switch and a motor, or how is that? Yes, it comes from the 8297 while the rear license plate comes from the 8448.
was the front license plate from 8297? 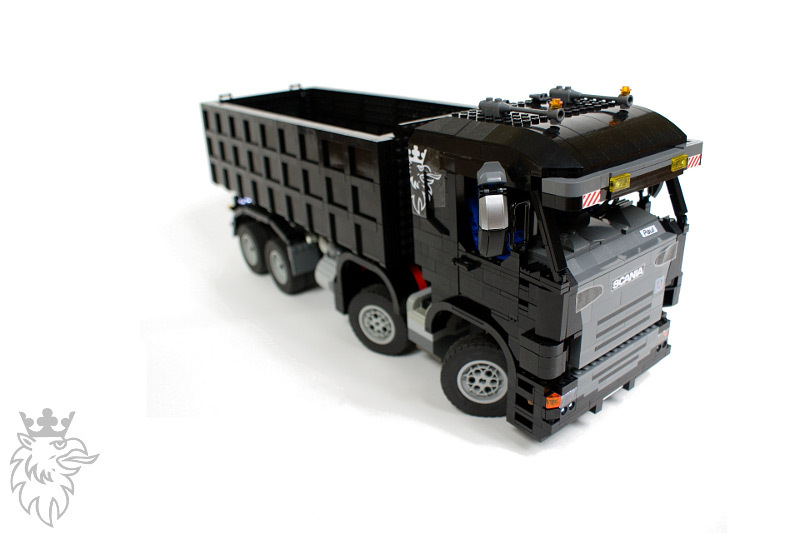 So you are back finally 🙂 This is one of the best dump trucks I have seen together with that of Han Designer. The look of the model is quite good. 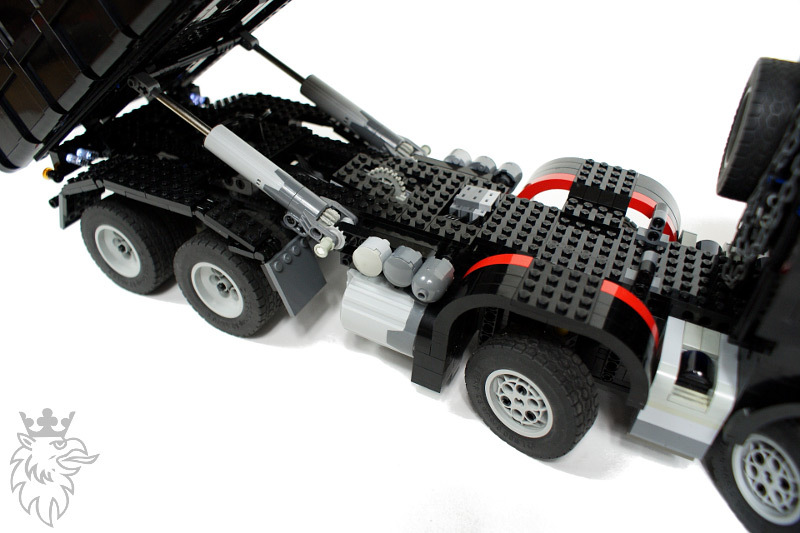 Maybe we should think about a different type of suspension for the drivetrain of heavy models like this. Could you give the BL link for the outside rear mirrors’ covers? very nice! 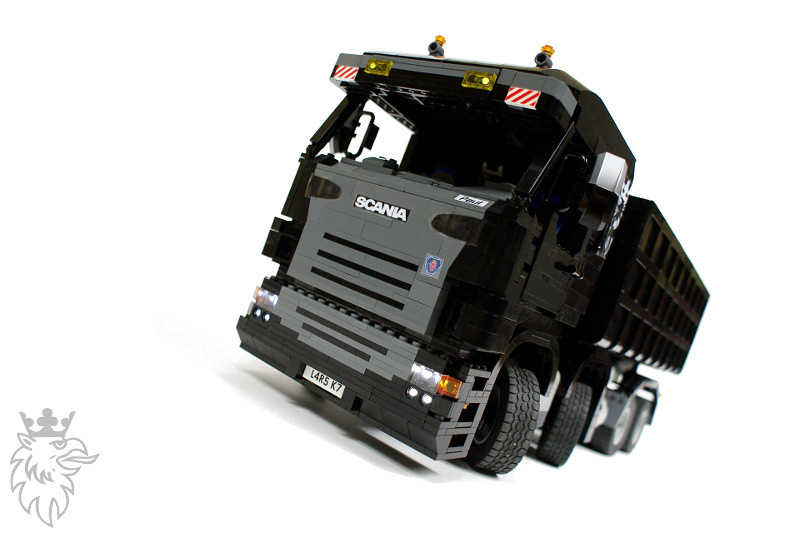 I especially like the aesthetics of the model – One of your best looking yet. I’m really impressed with the detail and the functionality of it. I like how you placed the all the PF parts – motors, IR receivers and battery box. I find how you incorporate suspension, steering and drive so well into a single model very impressive – maybe you could do a tutorial on it? The cab interior is outstanding!